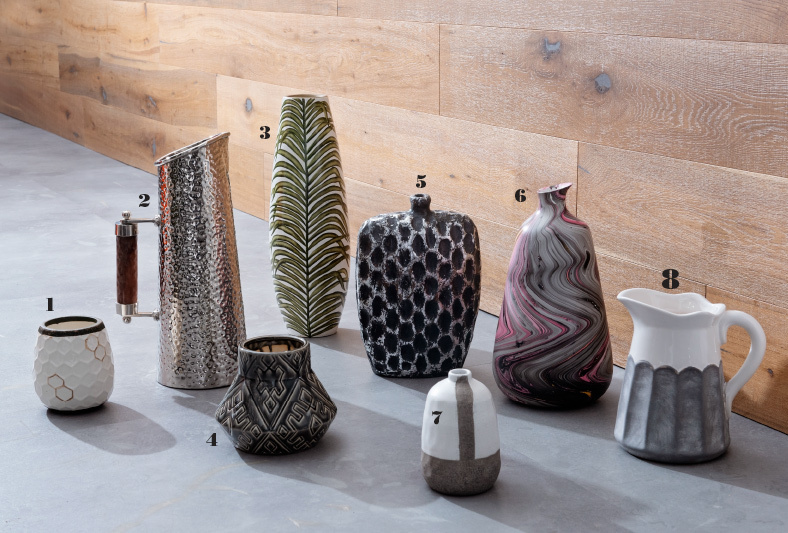 Whether holding flowers or standing empty, the perfect vessel will bring interest into any home. On location at Authorized Sales. 10. Dappled white vase, available at Marketplace at the Abbey. 11. Vase with blue vertical stripes, available at Forshaw Inc.
12. Rounded vase with blue accent, available at Dau Furniture. 13. Horizontally striped vessel, available at The White Hare. 14. 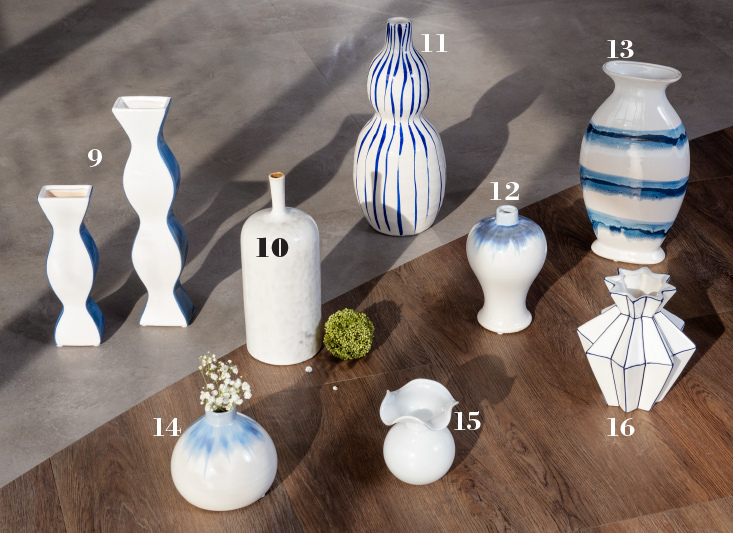 Round vase with blue accents, available at Dau Furniture. 15. Delicate white vase, available at Mary Tuttle's. 16. Abstract geometric vase, available at Rusted Chandelier.